EORNA is maintaining numerous collabortions in order to help extend the prioperative nursing network. 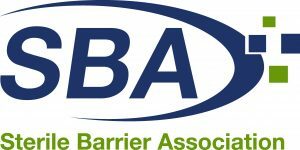 The Sterile Barrier Association (SBA) is the European trade association for companies who produce Sterile Barrier Systems (SBS) and associated equipment and accessories for the healthcare industry. SBS materials and equipment are sophisticated and allow single use and reusable medical devices to be sterilised after manufacture or after use. Sterilisation may take place at a medical device manufacturer or in the Central Sterile Supply Department (CSSD) of a hospital. In both cases the critical function of the SBS is to maintain product sterility up to the point of use. Lifebox builds networks across professional, academic and commercial organisations in more than 100 countries worldwide, and helped to make more than 10 million operations safer so far.